TRUMPF has developed a nibbler that is the first of its kind worldwide, capable of separating various fiber composite materials up to 2,5 mm thickness. 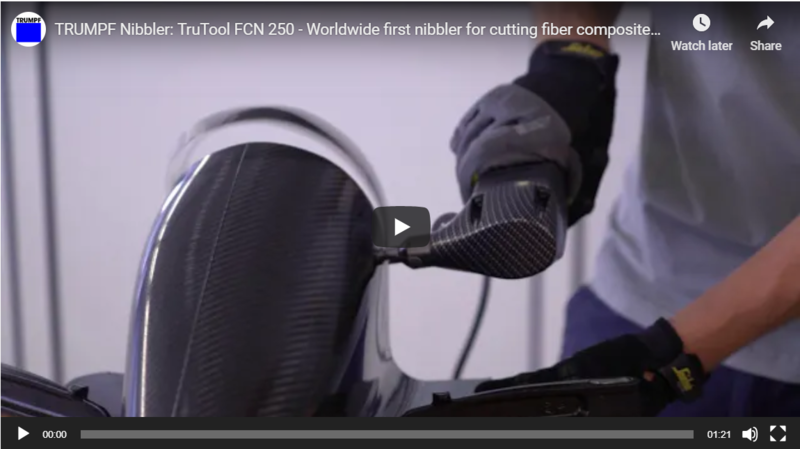 The TruTool FCN 250 is suitable for any sector that uses fiber composite materials to manufacture pioneering lightweight components. Accuracy and clean cutting edges pose real challenges when it comes to the manual cutting of fiber composite materials. Fraying and delamination frequently occur. During the separation of the material smoke and harmful dust can form. With the fiber composite nibbler these difficulties are a matter of the past. 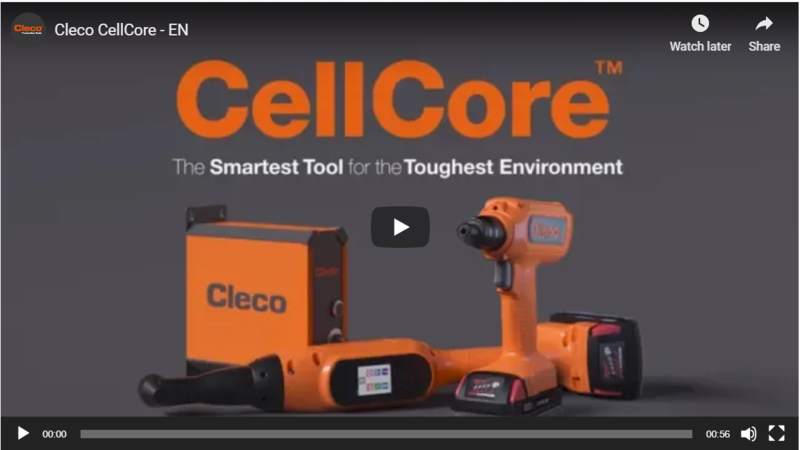 CellCore™ Cordless assembly tools that are smart, durable and designed to withstand the toughest environments. The lightweight ergonomic design reduces operator fatigue while delivering state-of-the-art power, weight and balance. The two speed HMD927 mag drill from Hougen is loaded with features and power for holes in steel up to 1-5/8″ in diameter and 2″ deep. A power feed drill for hands free operation while drilling which increases operator efficiency and reduces fatigue. These punches include fully automatic punch, return and reset operations, with an allowable maximum pressure of 10,000 pounds per square inch (psi) and emergency switches that can immediately stop the operation at any time. Each comes with hose cord assembly, spanner, sub handle assembly, tool box, 22-mm punch & die mounted on machine, and four-mm Allen wrench; optional accessories include spring balancers, foot switch assembly, and split lock nuts. Enter here to see a list of the primary Material Handling Equipment Suppliers. Enter here to see a list of the primary Assembly Tools Suppliers. Enter here to see a list of the primary Torque Monitoring Equipment Suppliers. Enter here to see a list of the primary Hydraulic Tools Suppliers. Enter here to see a list of the primary Cutting Tools Suppliers. Enter here to see a list of the primary Tool Accessory Suppliers. Enter here to see a list of the primary Fabrication Tools Suppliers. Enter here to see a list of the primary Construction Tools Suppliers.